The Cabildo has announced that from April 10th to 13th Tenerife will host one of the most important events of the year. The bringing together of over 1,000 Spanish travel agents in a move to boost tourism. The aim is to show agents and tour operators the variety of tourist amenities in the north and south of Tenerife, as well as in the metropolitan area. 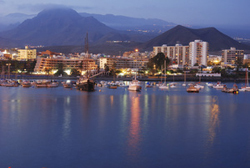 The programme ‘Ven a Tenerife 2008′, (Come to Tenerife 2008,) has a three-fold objective. First, to reward all those travel agents who recommend Tenerife to their clients as part of their daily work. Next to show travel agents some of the novelties that Tenerife has to offer in accommodation and leisure. And lastly, to establish a relationship of trust and loyalty with tour operators and agencies for future promotions. During their stay the guests will be able to participate in several activities, including trips to Mount Teide, whale watching, wine-tasting and golf, plus free time to discover the island’s delights for themselves. Overflowing rubbish bins, due to the bin-men’s strike in Adeje, were set alight yesterday morning. It is not known whether the fires were caused by residents, fed up with the piles of stinking garbage piling up around them, or by vandals. It is estimated that €11,000 worth of damage was caused at 17 rubbish sites. The fire services could not cope with the number of calls and residents were working together in bucket chains to bring the fires under control. Police are once again warning drivers not to leave valuables in their cars – even during the day. A spate of car crime has been reported in several locations, especially local beauty spots in the south of Tenerife. 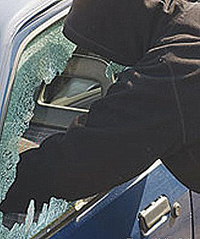 The gang of car thieves are very organised and have the audacity to break into cars in broad daylight by smashing windows and grabbing valuables. It is all over in a matter of seconds. Wallets and handbags are often hidden under seats but can still be spotted from the outside. Police advice is to take valuables with you. If you can’t take your possessions with you whilst out sight-seeing or visiting, then lock them away in the boot of your car or leave them at home in the first place. 600 doctors are urgently needed in clinics and hospitals throughout the Canaries and the shortfall will probably have to be made up using foreigners. The figures were discussed on Wednesday during a conference in Tenerife on immigrants and employment. Cesar Castel, from the recruitment agency Adecco Hman Resources, told delegates that 5 years ago there was a surplus of doctors in the Health Service but the situation had changed dramatically and doctors from Eastern Europe and Latin America would be in great demand for the next 5-6 years. Mountain picnic areas plagued by rats. An announcement by Wladimiro Brito, the Cabildo Minister for the Environment states that the majority of Tenerife’s mountain recreation areas are plagued by rats. The amount of rubbish and food waste that visitors leave in the parks, plus the fact that the numbers of predatory birds that feed on rats has fallen, are the two major causes for the increase in number of rats. The Cabildo has contracted the public company Tragsa to carry out the necessary work to control the rodent population, which, apart from causing nuisance to visitors, is also damaging the local wildlife and vegetation. A budget of 89,000 euros has been allocated to the project. 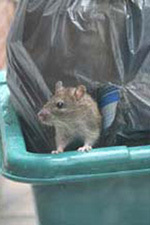 Experts working on the project say that the quantities of rubbish left behind have contributed to the increase in the number of rats and suggest that park users take their waste home and dispose of it there. The body found floating off the beach at Fañabe last Friday has been identified by Guardia Civil forensic experts as a 29-year-old Lithuanian identified only as Robertas J. who does not have appear to be a resident of Tenerife. The floating body was found by the Pico Teide sea rescue vessel during an unrelated search for two divers who failed to surface from a dive at Palm Mar near Punta Rasca last Thursday. The body was identified from fingerprints and shows no signs of foul play. Yesterdays downpours in various parts of Tenerife caused a series of accidents main roads, seven of them within the space of an hour. The heavy rain that fell during much of the morning caused problems on the ring-road outside La Laguna and on the TF-2 link connecting the two motorways. 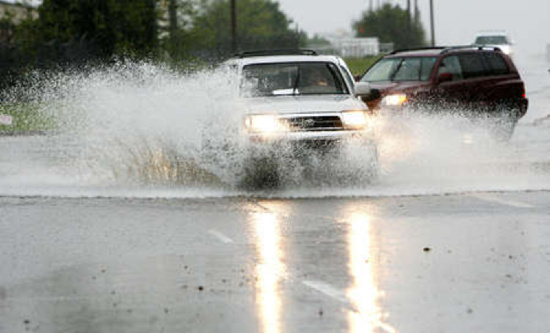 In the south-east of the island, traffic was disrupted due to temporary flooding on stretches of several main roads, although no serious collisions were reported.